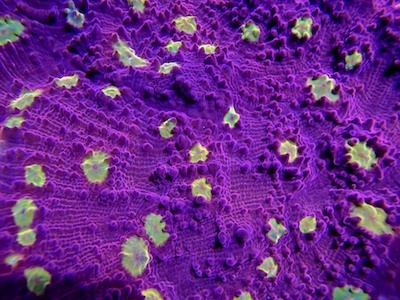 Welcome and thanks for your interest in our aquacultured coral and other critters! ReefGen is a wholesale only company, which means that we will only sell to retailers and public aquariums; not to hobbyists directly. If you are a hobbyist interested in our coral, give your LFS a wishlist and ask them to contact us. We can quickly setup an account for your LFS and get them setup with your favorite corals, while making your retailer a new dealer at the same time! If you are a retailer, e-tailer, public aquarium, or service company looking to browse our prices and maybe place an order, please create an account by Clicking Here or by selecting the link in the upper right-hand corner of this website. Once we approve your account, you can see our wholesale prices online and order through this website. You are also welcome to contact us at sales@reefgen.com if you prefer a paper catalog to order by phone or email. If you are a hobbyist looking to purchase ReefGen coral, please ask your Local Fish Store about placing an order with us. You can also pick out coral on this website and send a "Wishlist" of coral to your local retailer who can contact us to set up a wholesale account and place an order. Alternatively, see our list of RG online retailers by selecting the "RG Retailers" tab from the home page.